I shall speak clearly: I Did Not Like The Dark Knight. Yes, I understand that in certain circles, that's like saying 'I hate God' or 'I drown babies for fun' (and that's a definite NO on both counts). However, I was left unimpressed with the film (far too nihilistic, overlong, and convoluted for my tastes), not to mention I wasn't blown away by Heath Ledger (no pun intended). My friend Fidel Gomez, Jr. (who may or may not be dead) had a great line about Ledger in The Dark Knight: "I thought he just needed some Chap-Stick". Still, for better or worse The Dark Knight Trilogy (Batman Begins, The Dark Knight--especially The Dark Knight, and The Dark Knight Rises) have cast a giant shadow over all future adaptations of any other franchises. We now have every franchise or potential franchise, from Superman to Star Trek to even perhaps Iron-Man 3 (a franchise that so far almost delighted in being more upbeat, with its bon vivant hero Tony Stark), going for a darker, more pessimistic vision of the world. 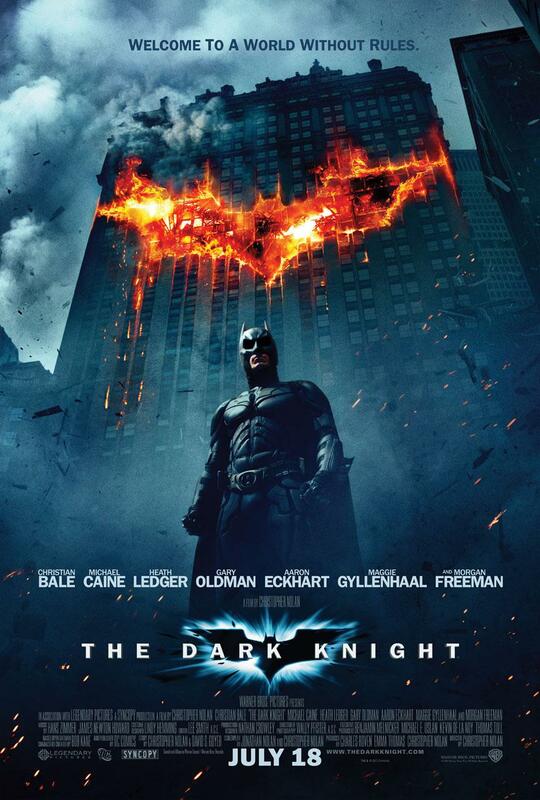 In that sense, the fanboys who worship at the feet of Christopher Nolan are correct: The Dark Knight has changed cinema. I think the current crop of filmmakers have learned a lesson from Christopher Nolan's trifecta of Batman films, but it's the wrong lesson. What they appear to think is that audiences want to see this opaque, cynical, despairing vision where the world (or whatever world the setting takes place in) is one millimeter away from total collapse. The world of Batman is one where things can be darker, a world where civilization appeared to be crumbling with nary a hope of redemption. In this case, Batman can be seen as a Sisyphus-type being: one who realizes that struggling against decay is absurd, but who in his struggle gains meaning. Can we really have the same said for Star Trek? Has Star Trek EVER been a series (in any of its incarnations) where despair and hopelessness reigned? Gene Roddenberry's vision of the future was not dark at all. In fact, it was wildly positive and optimistic. Yes, there was the struggle between the Federation and the Klingon Empire, but within the Federation itself there was remarkable unity and cohesion. Aboard the U.S.S. Enterprise, you had a variety of races, sexes, and species working in tandem where their differences were never thought of, remarked on, or especially relevant. There was an Asian, an African-American, a Soviet, and a Vulcan aboard the Enterprise in the original series. The casting of minorities and women in positions of authority and respect was forward thinking for the 1960s. Let's remember that Star Trek was the first time an interracial couple kissed on television (although having seen clips of Plato's Stepchildren, I'd argue that Kirk and Uhura's lips never actually touched, but I leave that for another time). Roddenberry had a passionate sense of hope for the future: why else would he have a character like Chekhov, unless he imagined that deténte would be far more reaching than it ultimately ended up being? This is something to ponder: Roddenberry was so positive about the future he saw a time when the Cold War did not exist and someone from Mother Russia could work easily with someone from Iowa. If I can stretch the analogy further, in Roddenberry's universe, enemies always eventually came together: The Next Generation had the Federation's greatest enemy, the Klingons, now serving with distinction aboard Federation Starships. Even the character of Spock is important to the original idea of Star Trek being a hopeful, optimistic series. He was a child of Vulcan rationality and human emotion. While the Vulcan side was the more dominant one, to where Spock generally recoiled from emotions and puzzled at the emotionalism of Dr. McCoy, Spock could be moved or motivated by those feelings inherited from his human mother. His sacrifice in Star Trek II: The Wrath of Khan may have been logical, but his recognition that Jim Kirk was and shall always be his friend was thoroughly human. Into Darkness...Dark (Knight) Rises. It has to be pretty obvious Abrams is going to imitate in some way Nolan. Still, in their rush to capitalize on the success of Nolan's films I wonder if those currently in charge of the Star Trek franchise have lost what made Star Trek so beloved by so many. I cannot imagine any previous Star Trek film even suggesting that it would give in to despair and make its universe one bordering on total hopelessness. If one needs proof, allow me to give it to you. The similarity between the posters for The Dark Knight Rises and Star Trek Into Darkness cannot be a mere coincidence. Star Trek Into Darkness is deliberately echoing The Dark Knight Rises in its artwork, and it remains to be seen if it will echo it in its dystopian worldview. If it does, it would be a terrible disservice to the legacy of Roddenberry, the Great Optimist. It isn't just the Star Trek franchise that looks to The Dark Knight Trilogy for inspiration. I'd argue it's almost every franchise now in existence. That scowl, that morose face...THIS is the new James Bond. 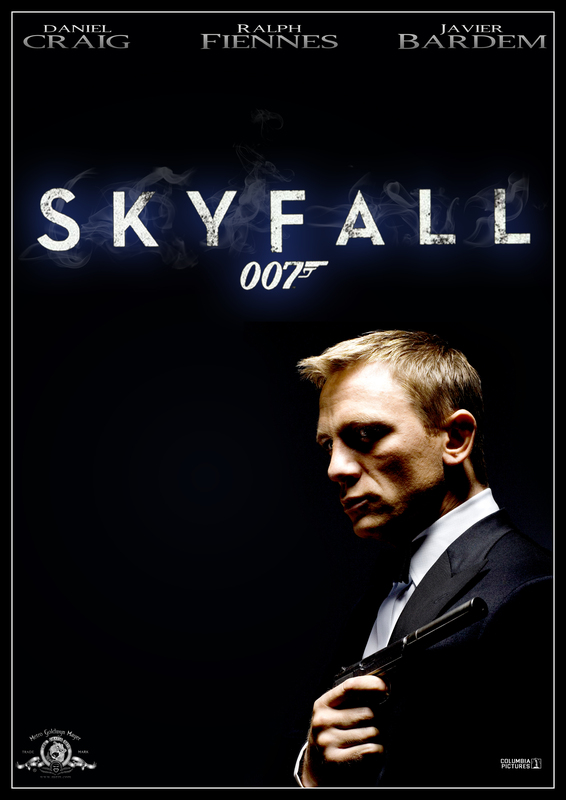 I joke that Skyfall should have been called The Dark Bond Rises because in so many ways Skyfall mirrors The Dark Knight, particularly in plot. You've got the crazy devious supervillain (who even at one point dresses up like a policeman to gun down a top government official) you've got the deeply wounded emotionally protagonist (who is an orphan raised by a caretaker of a large estate), you've got an epic burning down of the childhood home...again and again I seriously wondered whether Neal Purvis, Robet Wade, and John Logan didn't just say, "Oh, let's just get The Dark Knight script, change some names and situations, and throw that at Crabby Craig". I still remember a time when Bond was both a professional hitman and smooth ladies' man. He enjoyed living. This Bond of Craig's is so miserable, so psychologically damaged I really wouldn't want to be around him. So far in his Bond films, there are two that I have no interest in watching again, even for guilty pleasure...and he's only made three Bond films. My issue with the NuBond is that like the Nolan Batman films, Craig's Bond takes no joy in anything. Even when he's in bed with a woman, it looks more like a chore than a pleasure, something he'd rather not do but that he has to get through. When James Bond doesn't get any pleasure out of bedding a bevy of beauties, we have a problem. Now I am not only faced with a Dark Bond, a Dark Kirk, perhaps even a Dark Stark, but even worse, I might now have to deal with a Dark Superman. That's right: the Last Son of Krypton himself, a being who above all else once stood for Truth, Justice, and the American Way, the greatest Immigrant Success Story, the Moses/Christ-like figure in comic book lore, may now in his latest film be a celebration of the despair within Kal-El's heart. It is impossible to know whether or not Man of Steel will go The Dark Knight route, but so far the rather opaque trailers don't bode for him smiling. It's a curious thing that we've already gone down this more contemplative Superman route in Superman Returns. How well did THAT go? If anything, all these people, in their mad lemming-like rush to capture what pushed the Nolan Batman films to success critical and commercial, fail to learn that what works for Bruce Wayne may not work for everyone else. Joss Whedon bucked the trend for a darker take with his comic book film, and what he got was a magnificent film. The Avengers wasn't all sunshine and lollipops, but it also figured that our heroes weren't going to give in to the darkness. There is a lot of light (metaphorical and literal) in The Avengers, and Whedon showed he could get a great comic-book film without copying what Christopher Nolan did. Yes, I may be one of the few critics who rail against this creeping darkness in all franchises be they comic-book based or science-fiction, but I figure that if we keep embracing this darkness, we will soon no longer appreciate the light.